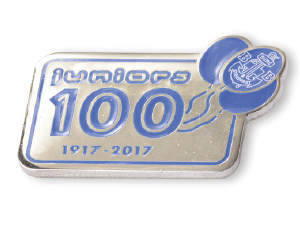 Get your section involved in the Juniors 100 celebrations throughout 2017. A Juniors 100 supplement has been sent out in the Company Mailing to Company Captains and Battalion Secretaries with this Gazette. 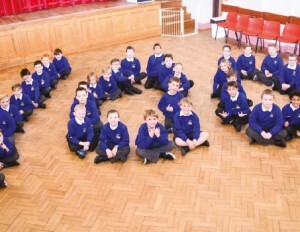 The supplement contains more about the Juniors 100 celebrations including programme ideas to help you celebrate, full details of the Juniors 100 Challenge and The Big 100 Birthday Party amongst other resources. This resource is also available on the Juniors 100 page on the Leaders website. Along with this supplement we have also sent out a selfie frame and pack of balloons to help support your celebrations. Remember the celebrations will take place across the calendar year, covering both the 2016-2017 and 2017-2018 sessions allowing ample opportunities for local and national events to take place. A range of items are available to purchase from BB Supplies including a special anniversary badge is now available from BB Supplies, which can be awarded to members of this age group during the year. Orders can also be placed for t-shirts, polo shirts and baseball caps on a pre-order basis, see the back page for more details. Watch out for details of activities and events being organised at Battalion and Regional level. Remember to share what you are doing using the hashtag #juniors100 on Facebook and Twitter.